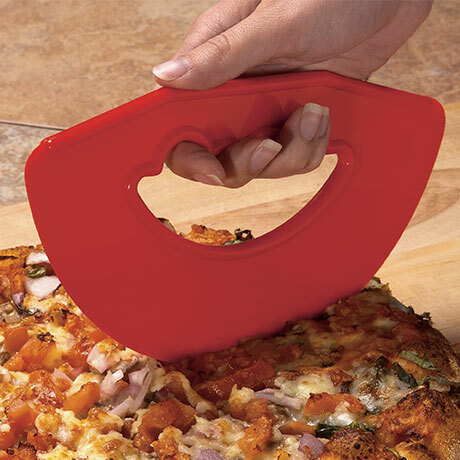 Our pizza cutter is easy to hold, easy to use, and easy to clean. Made of durable, heat resistant plastic. 8 inches long. Color may vary.